Every improviser has to face it at some point. We’re talking about those 32 bars of music that you know as Rhythm Changes. Sure it’s easy enough to sing the melody…And you’ve heard all the recordings of famous musicians playing circles around this familiar chord progression. 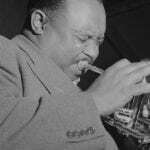 But when it comes to improvising your own solos it can be tough. A single scale doesn’t work and the chords are changing too quickly to think about music theory or those fancy lines you’ve memorized. You can look in books for patterns. You can think about music theory. You can even try to fake it with a few scales. But that’s not music…at least not the kind you would pay to hear at a concert. To start playing the way you envision, you need to get answers from someone that knows what they’re doing. And that means searching for the best recordings and learning why those players sound great. Sounds great, right? Now what you can learn from this solo that will change your own playing? Today we’re going to break down four key concepts from Coltrane’s solo to find out why it sounds great. Along the way we’ll give you some essential practice exercises to develop these techniques in your own solos. The first step to improvising over Rhythm Changes is learning how to play over a single chord progression… I – VI – ii – V7. This chord progression might not look that important at first glance, yet it’s in nearly every standard that you’re going to play. 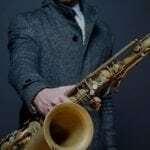 From Rhythm Changes to the blues to the turnarounds in countless standards this is a progression that you need to master. So how are you going to sound good on this progression? 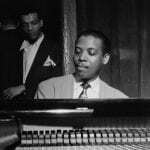 Well, like any musical obstacle, find a player that sounds great and find out why their lines work. And this is where that Coltrane solo comes in handy. When you listen to the solo you probably thought it sounded great, but maybe too complex. However, if you listen more closely you’ll find that he is using the same musical devices over and over again. Listen to the 2nd line and note how he encloses the C and uses an F Bebop scale to reach the F.
Pick one of the 3 Coltrane lines from above and memorize it in key of Bb. Start with the metronome at quarter = 60-70 and gradually increase the tempo until you can play it along with the recording. Now learn that line in every key, starting with Bb and moving either up or down by half-step. 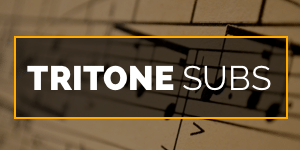 One method that Coltrane uses to add some harmonic interest to his lines is the tritone substitution. 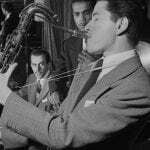 You’ve probably heard of bebop players using tritone substitutions as a reharmonization technique, but the technique of substituting chords, especially implied melodically, is something that all great players do. Instead of following the standard chord progression, he substitutes a Db7 for G7 and a B7 for F7. Note how this substituted progression creates a descending chromatic root movement from Db7 to C to B7 to Bb. Coltrane utilizes this half-step movement in his solo in the line below. Essentially thinking of three major triads in a row – Db, C, and B which resolve to Bb in the next measure. Your ability to use these sounds in your solo depends on how fast you can see them in your mind so make sure you spend time visualizing each key! Eight bars of V7 chords moving around the cycle of fourths that come back every chorus. What exactly are you supposed to play over these chords?? This question stumps many improvisers. A sequence of dominant chords that lead right into other dominant chords. Do you just cut and paste scales? Not if you want to sound musical. 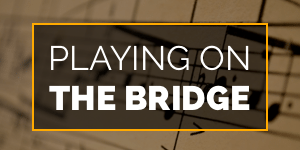 Take the bridge to Rhythm Changes in Bb and visualize a ii-V7 over every 2 bar V7 chord. Do this in every key. 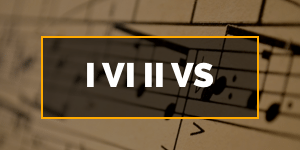 Now take a ii-V7 line that you know and apply it to the bridge of Rhythm Changes. Another way that Coltrane approaches these static dominant chords on the bridge is from the b7 scale degree. For instance a C Major sound over a D7 chord. Practice approaching V7 chords from the b7 scale degree. You can start with arpeggios or other major language that you’ve developed. 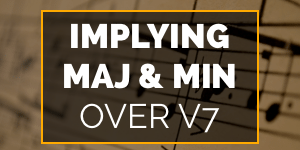 Play a major 7 arpeggio from the b7 of every V7 chord. With these four Coltrane concepts you’ll have more than enough material to head into the practice room. And if you put these ideas to work in your playing you’ll begin to see Rhythm Changes in a new light. Remember, knowing the theory behind each of these concepts isn’t enough. You need language to make them musical. Start by getting inspired with the melodies that Coltrane played and then find new ways to create your own!